Are Arthur and Molly your favourite couple in Harry Potter? Arthur and Molly или James and Lilly? Are the Weasleys your Избранное Harry Potter family? Arthur или Molly? Who do Ты like best? Выбор фанов: Любовь them both! 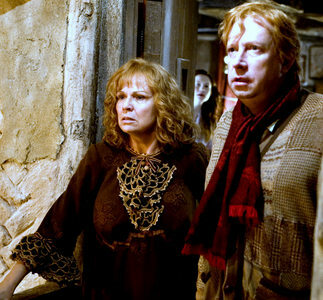 JKR always wanted Molly Weasley to kill Bellatrix, to Показать the maternal Любовь against the obsessive love. a poll Добавлено: Are Arthur and Molly your favourite couple in Harry Potter? a comment was made to the poll: Arthur или Molly? Who do Ты like best? a comment was made to the poll: Are the Weasleys your Избранное Harry Potter family?